How do you ring in the new year? 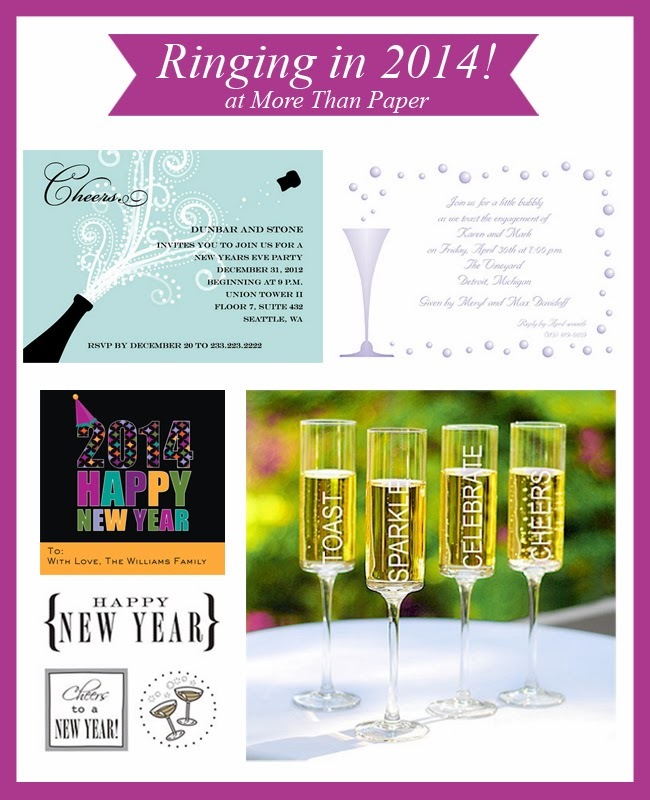 Whether it's a quiet night at home with your family watching Ryan Seacrest and the Time Square Ball drop or a raging party at a friend's house, More Than Paper has you covered with invitations, toasting flutes, address labels/gift stickers, and quick card stickers! Find all these great products below, from left to right, top to bottom, . And see all of our New Year's products here, new ones are added daily. Share your New Year's Eve traditions with us on the blog by commenting below or share them with us on Facebook!